Pakistan music world is one of the top rising industries in Pakistan. Pakistan music industry is full of world famous singers plus musician of the world. This industry provides the world, Madam Noor Jahan, Ustad Nusrat Fateh Ali Khan,Ustad Mehdi Hassan, Ghulam Ali Khan, Rahat Fateh Ali Khan, Zubeeda Khanaum, Atif Aslam, and many others. Here is the list of best music bands in Pakistan based on traditional,pop, rock, jazz, classical genres and Pakistani folk music. Vital Signs were a Pakistani pop as well as rock-band. It was created in 1986 in Rawalpindi and stays active till 2013 with a few gaps. Junaid jamsheed, Rohail Hayatt, and Shahzad Hassan were its founding members. It was the most famous rock and pop band of its time. Second Pakistani and worldwide well-known music group in the list is Strings. Strings was shaped in 1988 and had remaind active till ’92. In ’99, it elevated yet again and still in the music industry. 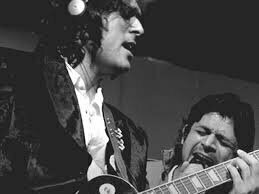 Band is well known for rock and pop music as well as Faisal Kapadia and Bilal Maqsood are main members. Fuzon is a Karachi based music group that was created in 2001 and stayed active till 2004, however, music group is in industry again since ’07. Rameez Mukhtar and Shafqat Amanat Ali were earlier times members and today it’s being headed by Khurram Iqbal, Shallum Asher Xavier, and Imran Momina. Laal is a yet another most well liked Pakistani music group that is known for music and singing socialist and modern political songs specially poetry of leftist Urdu pots such as habib Jalib and also Faiz Ahmed Faiz. Laal was shaped in 08 in Lahore and still in the industry. Taimur Rahman, Mahvash Waqar and Haider Rahman are its main members. Noori is really a Lahore based Pakistani rock-band. The group was created by Ali Noor together with his younger sibling Ali Hamza in 1996. Noori is known as one of the pioneering causes behind what’s dubbed at the Twenty-first Century pop revolution of Paksitan. Jal is a rock and pop band that was created in Lahore in ’02. The group was initially created by Goher Mumtaz and Atif Aslam and then on joined by Oer Nadeem. The group became most well-liked after its first song, “Adat”, that was a tremendous hit in Pakistan. 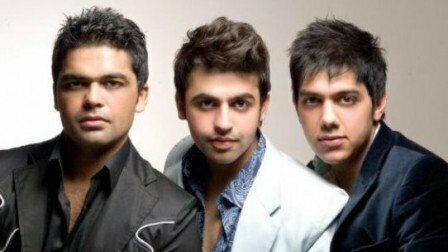 Aaroh was a Karachi based alterntive pop, rock and power pop band. The group was created in 98 and deactive since ’09. The group was founded by guitar player Nabeel Nihal Chishty, and vocalist Farooq Ahmed. Awaz was a Pakistani pop music group that was created in Karachi in ’92 by Haroon Rashid and then on was joined by Faakihir Mehmood and Asad Ahmed. It was one of the leading bands of the local pop music scene and was highly trained and skilled music artists and producers and composers. Roxen is a Pakistani rock-band from Lahore that was created in 04 and still working. The 1st album of the Roxen studio was ozen-e-Deewar that was launched in the year 2006. Mustafa Zahid, Haider Halim, and Shahan Khan are its main members. Zeb and Haniya is a Pakistani pop, rock and sufi music group from Khyber Pakhtunkhwa. The group was created in ’07 and is working till now. The band is the project of 2 relatives, Zebunnisa Bangash and Haniya Aslam.